Productivity, Tips, Work-Life Balance By Nora Inveiss on April 18, 2016 . Google Calendar recently came out with a new feature: Goals. 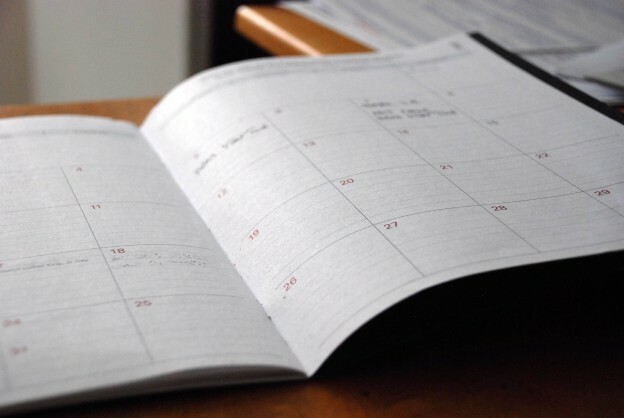 It’s a tool that helps you schedule time to meet your goals, whether it’s exercising more often or learning a new skill. This is a great reminder of how important it is to make time for yourself, both for workplace productivity and for personal growth. When you’re balancing too many things on your plate, time for personal growth and relaxation are often dropped from your schedule. This might not seem like a big deal. After all, you’re making more time to get things done. However, the reality is that you’re not doing yourself any favors by neglecting personal time. Research confirms that working long hours is detrimental to productivity. The more hours you work, the less productive you become. That’s why it’s critical to take breaks and make time to really unwind. You’ll get more done if you come to work refreshed and well-rested, not stressed and overworked. Take time to do something that makes you happy. Whether it’s learning to cook, joining a fitness class, or just half an hour of doing nothing, find time to do it. Schedule time that’s dedicated to you. Find when you’ll have some spare time, schedule it in, and stick to it. Treat your “me time” as important as any meeting or deadline you have planned in. Give your 6 PM run as much priority as your 9 AM client meeting. You wouldn’t back out on your client, so don’t back out on yourself. If there really is a crisis that takes priority over your personal time, that’s OK. Figure out where you can make up for it and whether there’s anything else you can move around. Make an effort to not take on more work than you have time for. The desire to please and be a team player is understandable. It’s hard to say no and feel like you’ve let somebody else down. But taking on more than you can handle doesn’t help anybody. Get comfortable with politely declining the tasks that eat into your personal time. A simple “I’m not available this week” is all it takes. It’s easy to justify breaking a promise to yourself, or to make excuses as to why you didn’t do something. It’s much harder to break a promise you make to somebody else. Find an accountability buddy and let them know what your goals are. Have them check in on your progress. It’ll keep you more motivated to keep up with something if you have to report it to somebody else. Pay attention to where your time is going every day. Is there something you’re spending a lot of time on? Is it bringing any value to your job or personal life? If not, then figure out how you can limit the time you spend on it, like delegating to someone else or strategizing how to be more efficient. Spending time on yourself is good for your well-being and productivity. Don’t neglect yourself; take the activities that make you happy seriously.